The Institute of Administrative Sciences Punjab University has arranged a seminar with the collaboration of Aurat Foundation Lahore. 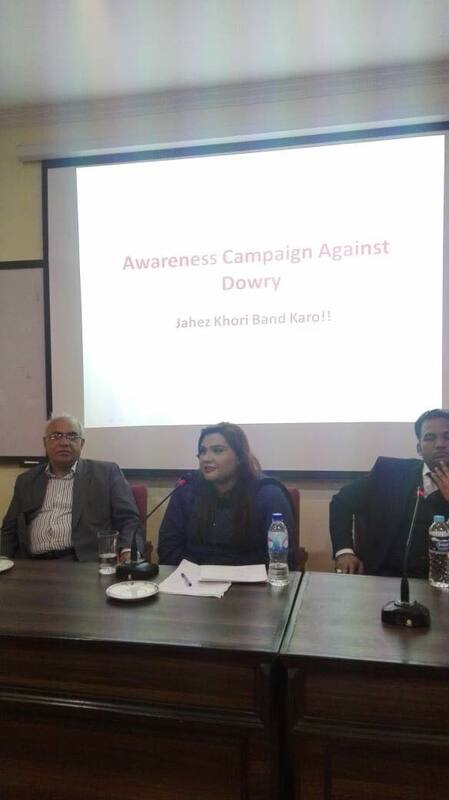 The objective of this session was to create awareness among youth on anti-dowry campaign. This issue exists countrywide, but the ones effected more the upper-middle and lower- middle socio-economic classes. 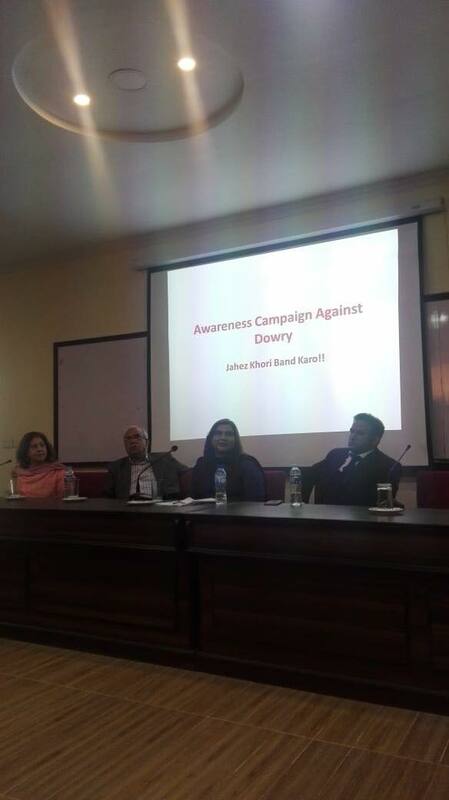 In the context of Pakistan, the dowry was not a tradition but has recently, become an issue in our community which leads to domestic violence in various forms The panelist was Dr. khalida Amjad, senior visiting faculty Doctorate in Arabic, Mr. Adeel Asghar Hashmi family lawyer from High court Lahore, Mr. Tanvir Sadiq, Ms. Sarah Sheraz, Provincial Manager (AF-Lhr) & Ms. Samina Javed, Program officer (AF-Lhr). Ms. Sarah Sheraz represent the AF, and shared the history, vision, mission and contribution of Aurat Foundation to empower the women and marginalized community. She added that AF is against this so-called tradition, which is becoming the monster day by day and collaborative efforts are much needed to get rid from this, otherwise it will ruin the coming generation. This disease is not only spoiling the lives of women as far as men also. Mr. Adeel Asghar (Advocate) discussed with the reference of constitution and law. 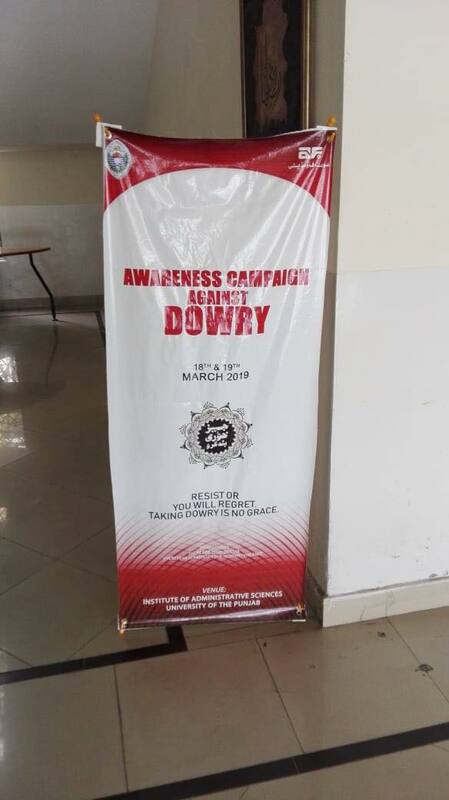 He shared his perspective in the context of Anti Dowry legislation. 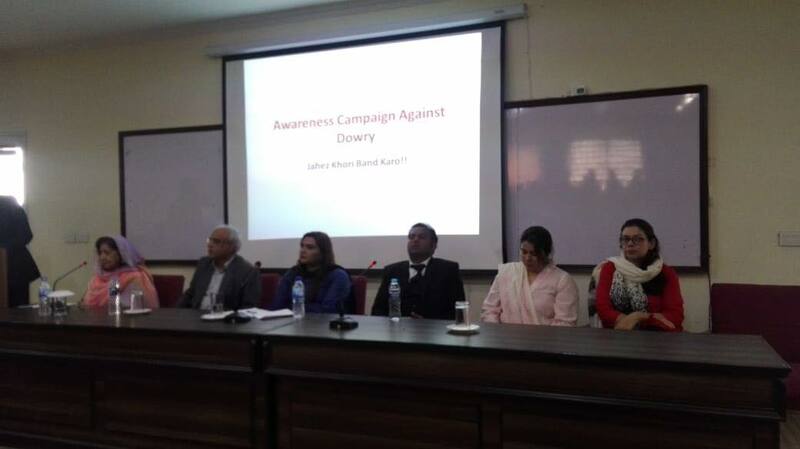 The other panelists also shared their views in this regard, and show their commitment to end this economical violence. At the end of the seminar, Attendees ensured to raise their voice against this social diseases by signing the pledge.